The above inscription, carved in Hopton wood stone by Eric Gill, is on the Godstow Road in Wolvercote, near the Trout pub. Ewan Siegfried Agnew was born in Paddington on 12 July 1893, the only son of Philip Leslie Agnew and his wife Alexandra Georgette Christian. His father was a publisher (the proprietor of Punch) and a graduate of New College, Oxford. At the time of the 1911 census, when he was 17, Ewan was boarding at Eton College. He went up to New College, Oxford in 1914, but left after two years to fight in the First World War, where he gained the rank of Lieutenant in the service of the 5th Lancers (Special Reserve) and was mentioned in despatches. He survived the war, but was to die from its effects nearly twelve years after the Armistice. He became an author, and in 1922 stood as the Liberal candidate for the Holland with Boston division of Lincolnshire. His science-fiction play The Shingling of Jupiter was written in 1924. He married, firstly, Mrs Marion Pearson, née Loughborough, daughter of Frank Loughborough, on 14 February 1917 at Whitchurch parish church, Oxfordshire, but they were divorced in 1929 on the grounds of Marion's adultery in March 1928 in the Rose & Crown Hotel, Tring with the racing motorist Robert Cyril Morgan. Agnew married his second wife, Constance Mary Newell, daughter of Frederick John Newell, on 23 January 1929. 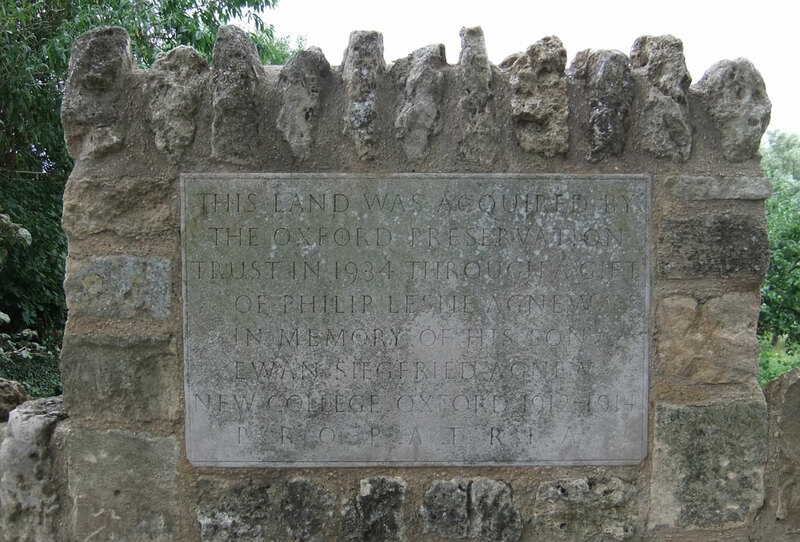 Ewan Siegfried Agnew died in London on 8 March 1930 at the age of 36 from illness contracted during the Great War, and his father donated the land now occupied by Wolvercote Community Orchard to the Oxford Preservation Trust in his memory. His widow Constance married Theodore Rosser Fred Kerey, M.R.C.S., L.R.C.P. in Durban, South Africa on 24 December 1937.